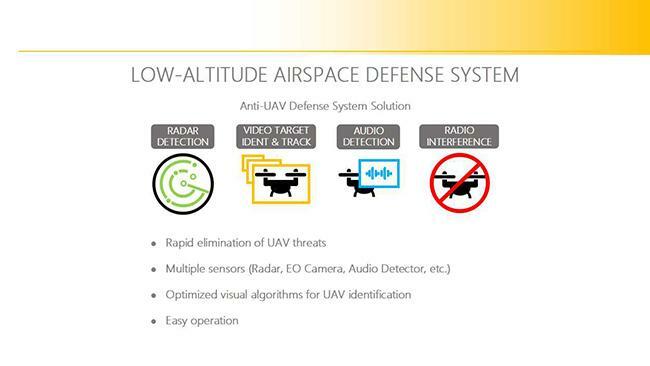 A photoelectric module with dual cameras is integrated in the system for the UAV detection and identification. 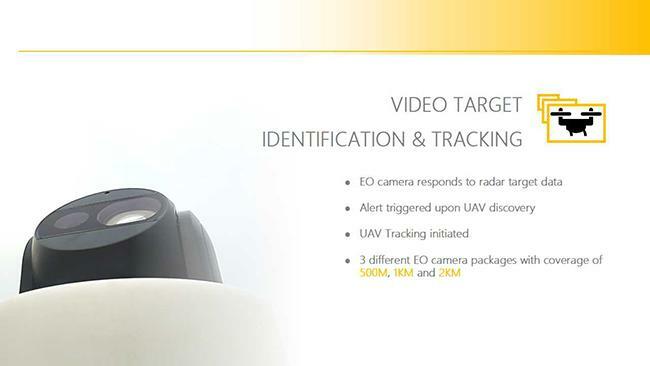 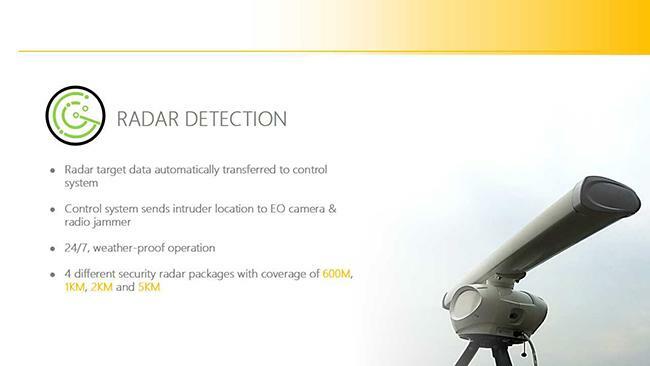 System will keep tracking and identifying the suspicious target with the HD camera when the High-speed ball camera send out coordinate, and expel or force it to land automatically with EMI module when the UAV is identified. 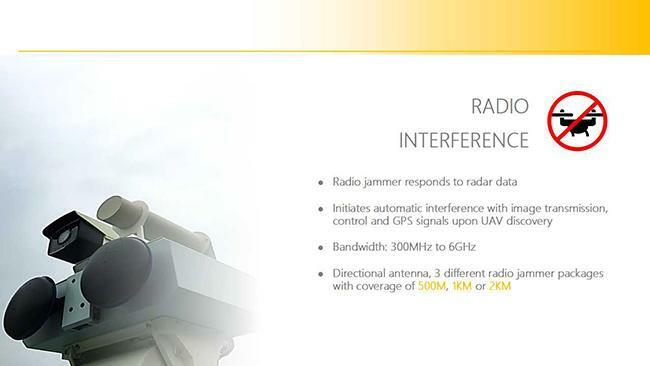 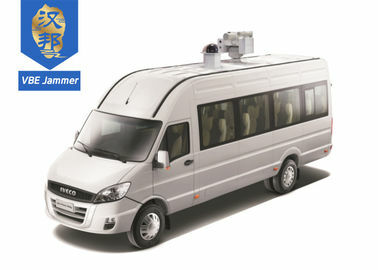 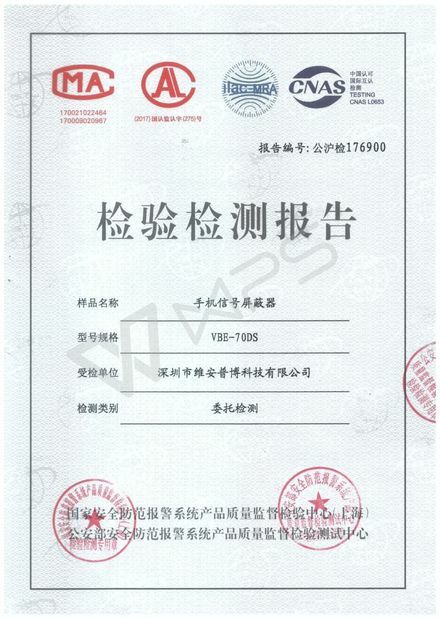 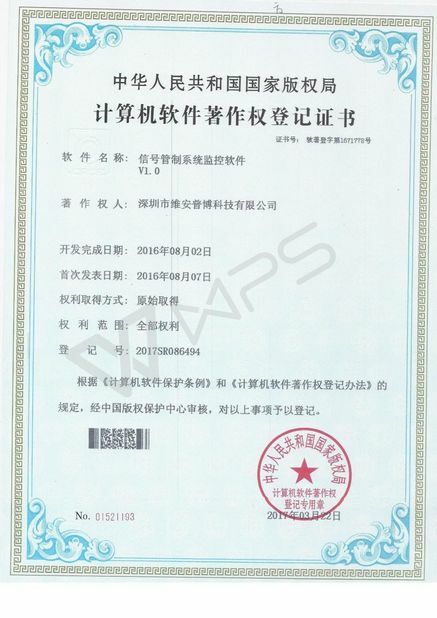 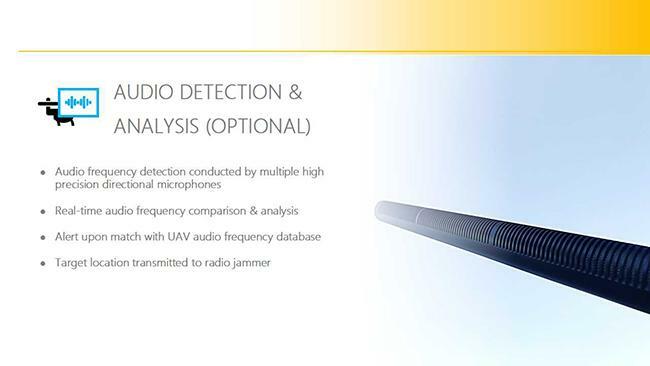 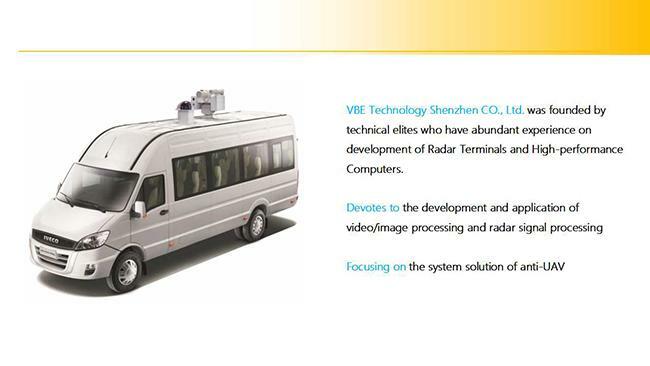 Mobile UAV defense system can be extended with the Audio detection module, Radio detection module and Radar equipment. 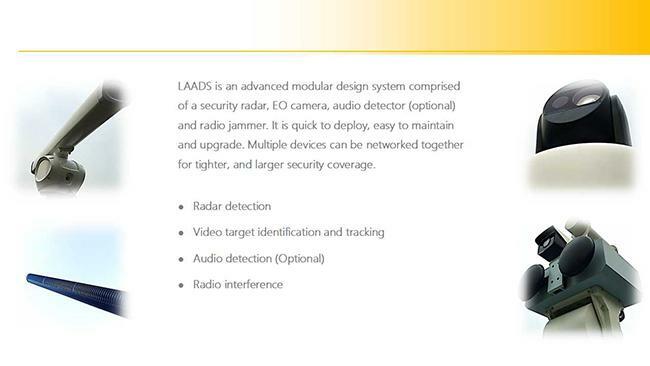 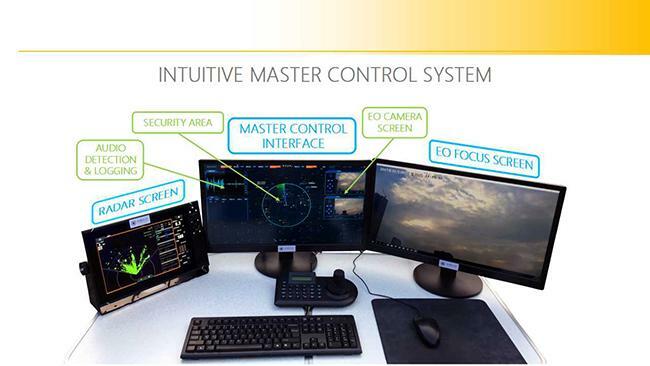 And multiple systems can be connected to the network for rapid deployment.